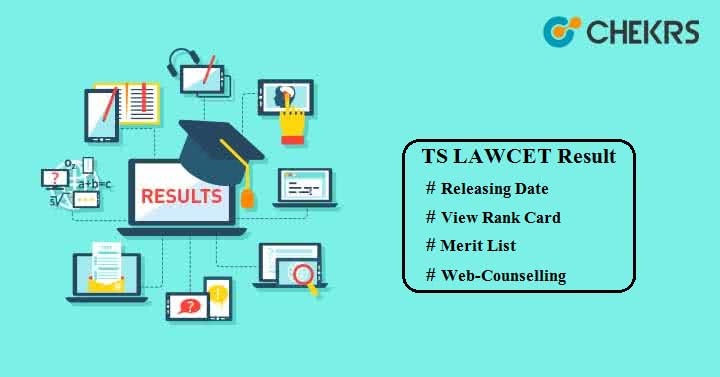 TS LAWCET Result 2019: Aspirants who have appeared in the TS LAWCET exam and now looking for result download link can go through this article. The result will be available through Online mode only. TS PGLCET Result will be present in the form of Rank Card including candidate’s personal detail, rank & their score in the exam. Only those candidates who will pass the entrance exam of TS LAWCET or TS PGLCET, they will be considered for admission in various law institutions of Telangana state. Here we have provided the expected Result Date for both TS LAWCET & PGLCET exam. We will update the result after receiving the official confirmation of result announcement date. Go through the procedural steps provided here and download your TS LAWCET Rank Card. Go to ‘Download Rank Card’ option available on the home page and click on that link. Enter LAWCET Hallticket No. & Date of Birth and then click on ‘View Rank Card’ button. Your TS LAWCET 2019 Result will be displayed on your computer screen in the PDF format. Download the result and then take a print of it for future use. If you fail to download your result from the official website, then you may download TS PGLCET Results Manabadi also. In order to clear the entrance test, candidates must score the minimum qualifying marks i.e. Cut-off marks. TS LAWCET 2019 Cutoff will be decided by the official authority based on various aspects like total no of candidates appeared in the exam, difficulty level of exam, seat availability, average score, and previous cut-off marks etc. The minimum qualifying marks are 35% means candidates need to score 42 out of 120 marks. Candidates with a score of equal to or greater than 42 marks will be included in the Merit List and will be called for further admission process. After result declaration, candidates need to register for TS LAWCET Counselling Process via online mode. The counselling session will start from July and will be held in 2 or 3 rounds. After registration, verify your documents in one of the nearest verification HELP LINE centers. Seat Allocation will be done on the basis of seats availability, candidate’s rank & score, and their college priority. Later, Seat Allotment Letter will be sent to each candidate who will take part in the counselling process and they have to report to allotted college to confirm the seat.